Brassicas are a family of vegetables whose leaves, flowers, stems, and roots are cooked and eaten. They are packed with vitamins, minerals, and antioxidants. This powerhouse vegetables have long been known to have disease-fighting, cancer-fighting properties and phytochemicals which are very good for the body. Kale is high in Vitamins A and C, fiber, calcium, and iron. It also has vitamin B6, magnesium and is low in calories. Kale can be a great addition to salads or sautéed for pasta dishes. Brussel sprouts are rich in Vitamin C, potassium, and fiber. Brussel sprouts are best roasted which gives a sweet, caramelized taste. Cauliflowers are packed with vitamins such as Vitamin C, B6, potassium, and fiber. Cauliflowers can be used in stews, mashed and are a great alternative to rice. A cup of broccoli contains 92 micrograms of potassium, which is good for improving bone health. It also has vitamins A, C and E and is proven to be good for digestion due to its high fiber content. There are several kinds of cabbages, all of which have very beneficial vitamins and nutrients. They are known for having high antioxidants such as Vitamins C, manganese, and polyphenols. It is also rich in anti-inflammatory nutrients such as anthocyanins found in red cabbages. Kohlrabi is full of nutrients and minerals such as copper, potassium, iron, and calcium. It is also rich in vitamins such as Vitamins C, A, K, and B-complex. It can be eaten raw or cooked and has a mild sweet taste. Mustard Greens are high in nutrition and known for their cholesterol-lowering ability. It is high in potassium, Vitamins A, C, and E and calcium. Turnips are root vegetables that are very versatile ingredients in soups and stews. They contain vitamin A and C, calcium and fiber. Its greens are full of calcium and can also be cooked. Daikons are large, white root vegetables, which grows natively in South and East Asia. They are known to boost the immune system, facilitate good digestion, and aids in curing respiratory problems. Arugula leaves are nutritious green, leafy vegetables of Mediterranean origin. They are also known for their anti-cancer effects due to their glucosinolate content. It is also good for bone health as it’s high in potassium. Wasabi is known for its spicy taste, but it is also full of health benefits such as reducing the risk of cancer and heart disease. It also has anti-inflammatory properties and helps fight bacterial infections. Some of the minerals and vitamins found in wasabi are Vitamin C, A and B6, as well as Calcium, iron, zinc, and magnesium. 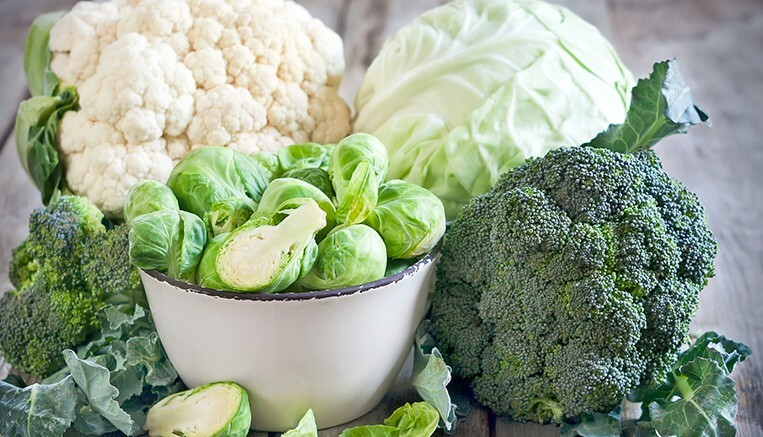 Be the first to comment on "10 Healthy Brassica Vegetables"